In a myriad of ways, Julius Eastman’s whole life was more unusual than a Kodak moment. For starters, he was a black, gay, avant-garde classical composer and performer. Can you say highly unlikely? Beginning in the late 1960s, he mostly worked in a post-minimal vein for a couple of decades until his life unraveled in the 1980s. That’s when his professional performing and teaching gigs dried up, he got evicted from his apartment, his scores and belongings got trashed, and he spent the next few years living on the streets, just prior to his very unfortunate and premature death in 1990. 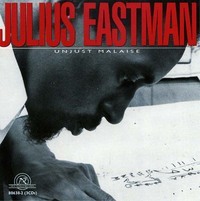 You are currently browsing the archives for the Julius Eastman category.